Last week’s Informant America piece on the late Gil Hill was the 52nd post on this blog; one year of writing about the plight of Michigan prison inmate Richard J. Wershe, Jr. What have we learned over the past year? A lot. And a lot of it isn’t pretty. Let’s review. Disillusionment is one of the burdens of being an adult. We learn the truth about Santa Claus, the Easter Bunny and the cleavage and cheekbones of most Hollywood starlets. Anyone who thinks Richard J. Wershe, Jr. has received anything close to justice is certain to be disillusioned if they look at all the facts. For those readers who get frustrated with my frequent repetition of the facts in Wershe’s, case, well, too bad. He’s sick of thinking about these facts all day every day year after year after year. Every single Michigan prison “lifer” convicted under similar circumstances has been paroled. Multiple murderers and serial rapists and child molesters have gone to prison, done their time and have been paroled in the time Wershe has been behind bars. There's no justice. Just us. Federal law enforcement is complicit in this for what they didn’t do, for failure to do their duty. That continues to this day, too. A retired FBI agent who was the longtime legal adviser to the FBI’s Detroit office has said, “Wershe was arguably the most productive informant the Detroit division ever had.” Yet, successive FBI special-agents-in-charge of the Detroit office and successive United States attorneys for the Eastern District of Michigan have cravenly refused to step up and push for parole for Richard Wershe, Jr. If they did they’d have to admit the federal government recruited a 14-year old kid to fight in the War on Drugs and when things went awry, they abandoned him, they left him to rot in prison for the rest of his life rather than admit what they did. Over the past year of blog posts, we’ve seen the Michigan Parole Board, which consists of ex-prosecutors, police chiefs and career employees of the Department of Corrections, is accountable to no one. There is no one looking over their shoulder when they decide who to parole and who to keep in prison. If the board says “no interest” in an inmate’s case, that’s the end of it. If there’s new evidence, new circumstances impacting a prisoner’s status, it doesn’t matter. “No interest.” There’s no process in the parole system that allows for the consideration of new information. These 10 people decide, without any outside oversight or review, how millions of taxpayer dollars are spent in terms of keeping people in prison or releasing them. The governor, whoever it may be at any time, is nominally in charge of the parole board but if you look at the governor’s list of priorities, the parole and pardon process is certain to be at the very bottom. 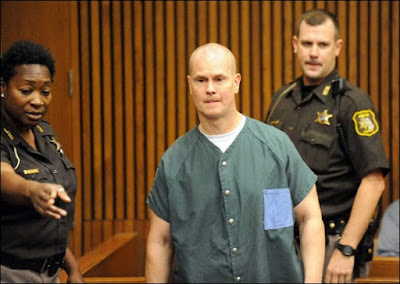 In the past year Informant America has shown through law enforcement’s own paper trail that there is no basis—none—for keeping Rick Wershe in prison as a “menace to society.” The Wayne County Prosecutor’s office admits—in writing—“the records do not exist” for claims by that office to the parole board that Rick Wershe was a major drug dealer who led a murderous gang and is a man who deserves to spend the rest of his life in prison. Yet, Wayne County Prosecutor Kym Worthy—who is black—continues to spend county tax dollars fighting to keep Wershe—who is white—in prison until he dies, even after her office admitted the records “do not exist” to support that position. 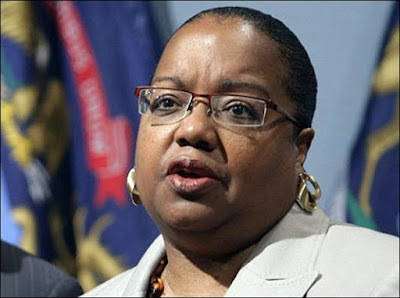 Worthy owes her political position to the Detroit Black Caucus which hates Wershe because he helped the FBI try to prosecute two of its most powerful members. These blog posts have also shown the willingness to break the law by the people sworn to uphold the law. Perjury—lying under oath on the witness stand—is a felony that is not only acceptable but committed with abandon and impunity by cops and even prosecutors, on occasion. Gerard “Mick” Biernacki, one of the cops who busted Rick Wershe, was known among other cops as Pinocchio for his tendency to lie on the witness stand. He was never prosecuted for perjury. Yet the criminal justice system proclaims itself to be on the side of the angels. The good guys. The white hats. The heroes. In Rick Wershe’s case, we’ve seen that some Detroit Police narcs routinely commit the felony of perjury while telling themselves the defendant “deserves it.” We’ve seen that a DEA agent submitted bogus “intelligence” information about Rick Wershe to the Michigan parole board to ensure this FBI informant remains behind bars. Who will listen to evidence this agent misled the Michigan Parole Board? Who will do anything about this decades-long injustice?